Do epidural injections help herniated, slipped, bulging discs? How long do epidural pain relief last? and caudal techniques (delivery into the extreme lumbar spine). The goal of this injection is pain relief through a reduction of inflammation and swelling in the epidural space. Numerous research studies have found it challenging to determine whether one technique is superior to the other, especially when considering multi-level disc related pain. In the medical journal Neurosurgery, a review of 1931 patients who either received spinal surgery or epidural steroid injections for back pain were compared to see which treatment was superior. After years of collecting data from thousands of patients and condensing the results down to 161 patients who met the criteria for comparison, the doctors found that for various problems of the spine, surgery is superior to epidural steroid injections for improving quality of life and pain. In a recent study, German doctors made a significant discovery. Chronic lumbar pain syndromes without neurological (nerve and muscle) deficits can be caused by many problems not just what shows up on a scan. In many cases a diseased intervertebral disc is found on radiological examination but the clinical relevance of these findings is not clear. What the study says is that an MRI or scan is showing disc problems but it is unclear if that is causing any problems. But there is a problem of inflammation. A transforaminal epidural injection (the injection near the nerve root inflammation) into the lumbar region can reduce inflammation and therefore improve temporary treatment outcome, but it does not repair damage and long-term clinical improvement is lacking. 2 This agrees with the above research on the lack of long-term effectiveness. In another study, doctors in Hong Kong suggest that the only best use of epidural steroid injection is to provide pain relief until spinal surgery can be performed.3 So here there is no point to even compare – use the epidural injections to comfort the patient until surgery can be scheduled. In fact one paper suggests that the use of epidural steroid injection subjects patients to complications by withholding surgery and that spinal surgeons should actively take back patients who could benefit more from surgery.4 So here the recommendation is to forget the epidural steroid injections all together – go right for the surgery. The reason comprehensive Prolotherapy is favored in our practice over epidurals is because Prolotherapy injections repair damaged tissue. But why do patients still get epidurals? A recent study from John Hopkins suggested that 75% of patients they monitored who were treated with epidural steroids reported 50 percent or greater leg pain relief and felt better overall after one month compared to those who received saline (50 percent) or etanercept (acting as an anti-inflammatory 42 percent). On a pain scale of 0 to 10, with 10 denoting the worst pain, those who received steroids reported, at one month, an average pain score of 2.1 compared with 3.6 in the etanercept group and 3.8 in the group injected with saline. Those in the steroid group also reported lower levels of disability (21 percent) than those in the saline group (29 percent) or etanercept group (38 percent). Saline injections better than steroid in the long-run? Epidural steroid injections are one option commonly presented to people with neck pain, thoracic pain, and low back pain. Many health professionals agree that the results are temporary and have no long-lasting effect. This research supported a recently published work in the British Medical Journal that looked at the effectiveness of caudal epidural steroid or saline injections which are often used for chronic lumbar radiculopathy. They looked at the patients’ responses at 6 weeks, 12 weeks, and 52 weeks. It was a multi-centered trial, blinded, randomized and controlled. 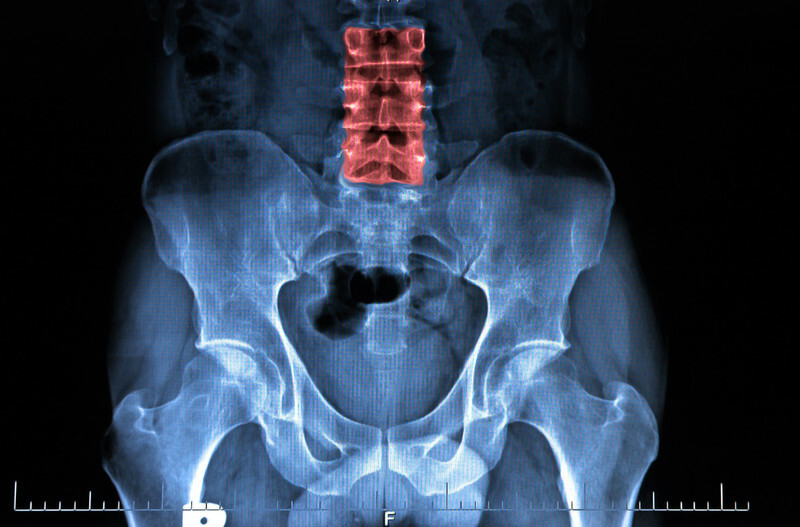 Recent research says epidural steroids for back pain robs postmenopausal women of bone. Research suggests that a single epidural steroid injection in postmenopausal women adversely affects bone mineral density of the hip. Enough so that doctors should be considering options when contemplating treatment for radiculopathy. Temporary pain relief is not what pain patients should be seeking. Permanent healing and pain relief should be the goal. Maybe pain patients don’t believe there is a cure for their pain, so they seek as many pain relief options as possible. The problem is that many pain relief treatments include steroids and anti-inflammatory agents that can make the injury even worse. As the injury gets worse, a person is forced to look for stronger and more complex pain relief. It’s a vicious cycle. Prolotherapy is the opposite of epidural steroid injections. Prolotherapy creates inflammation to bring blood flow and healing factors to the injured tissue. Any neck or back pain that is related to joint degeneration or ligament injury can be treated effectively with Prolotherapy. Questions about this article can be submitted below – you may also want to consider reaching out to a getprolo.com doctor to get information about a consultation.